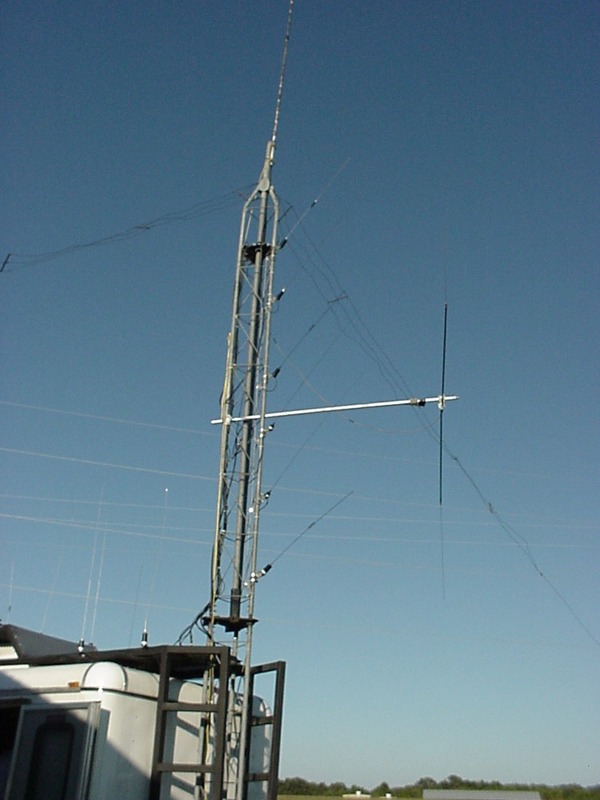 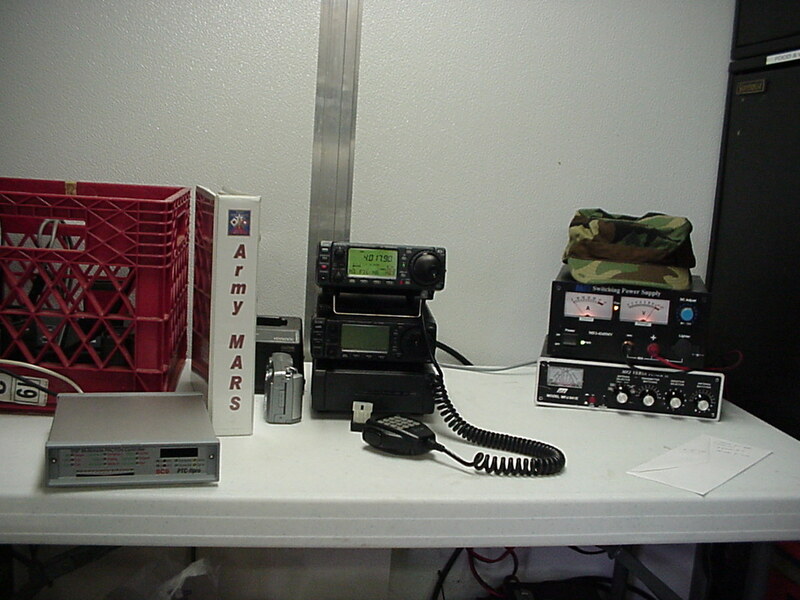 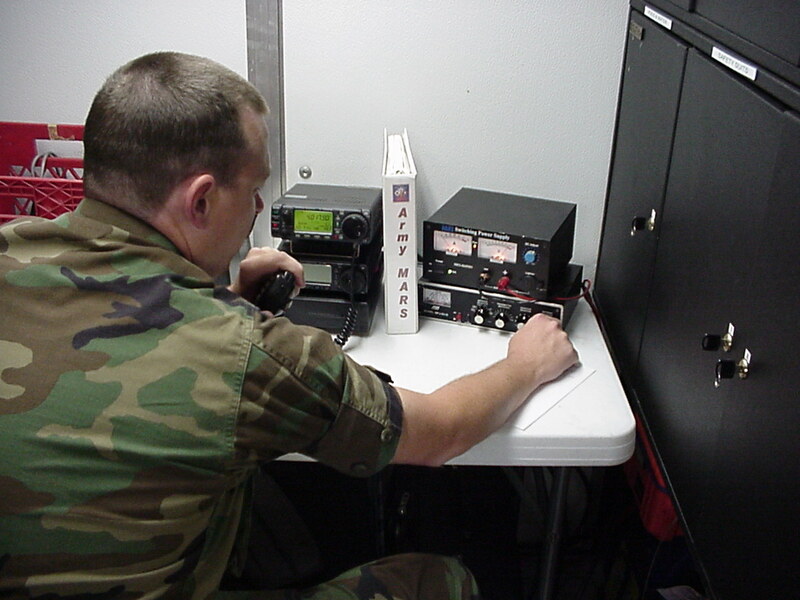 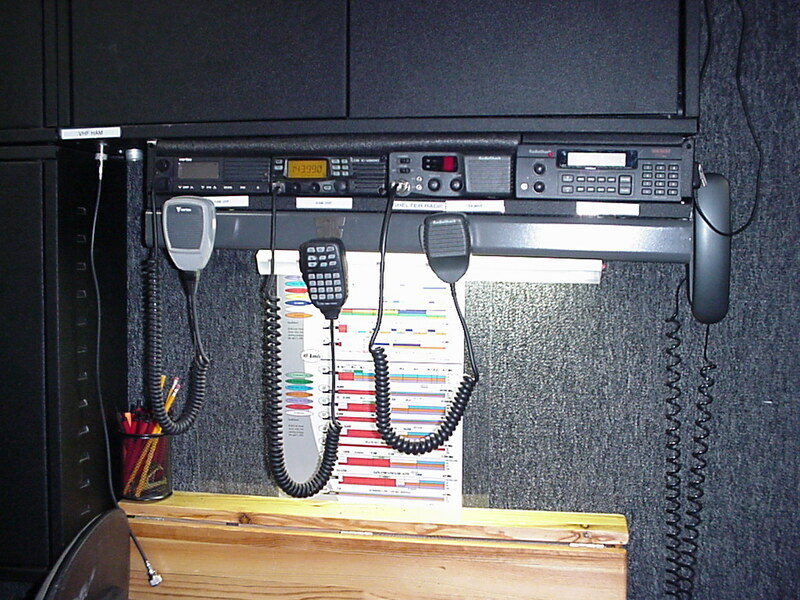 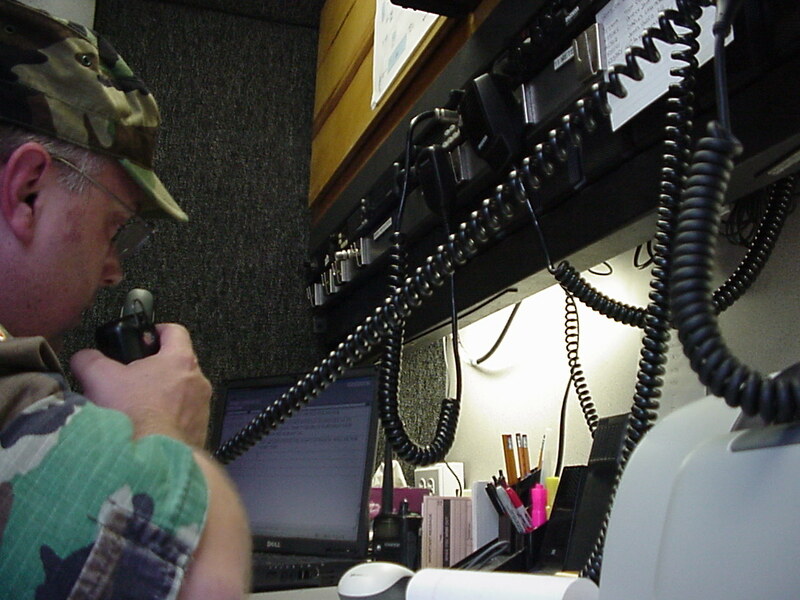 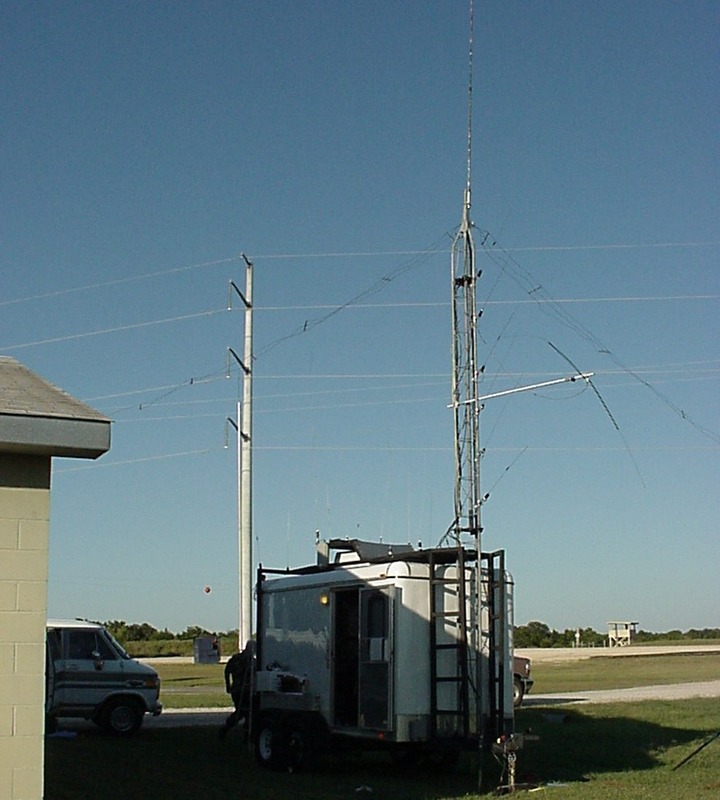 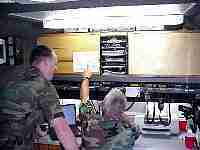 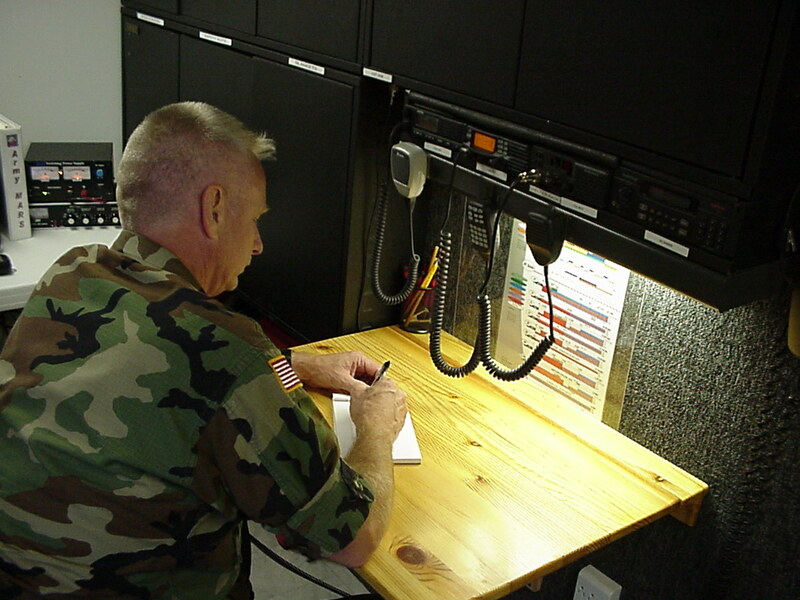 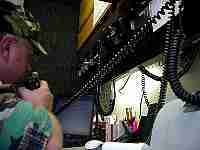 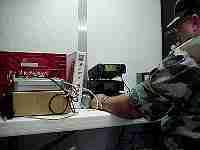 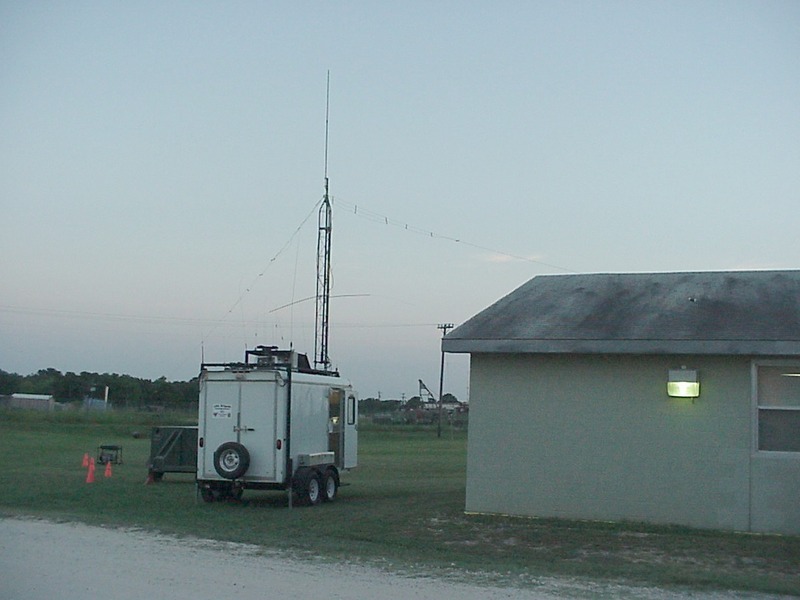 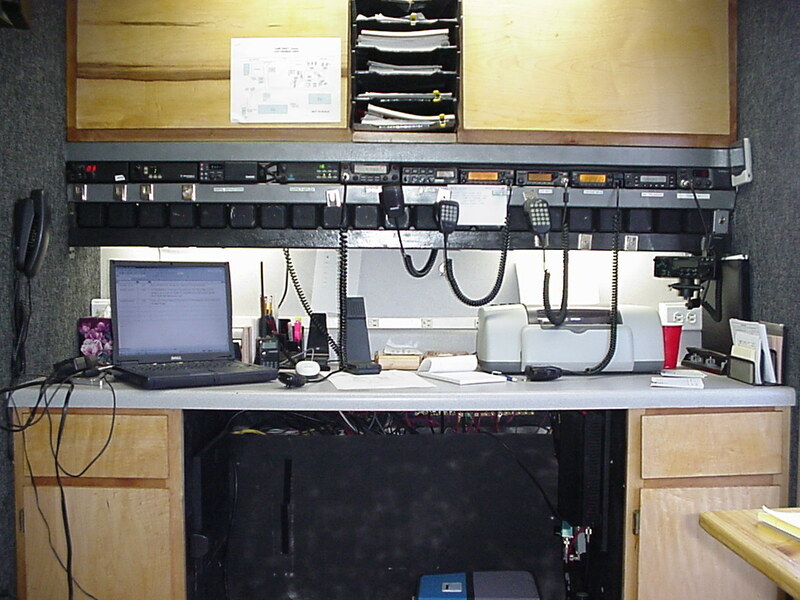 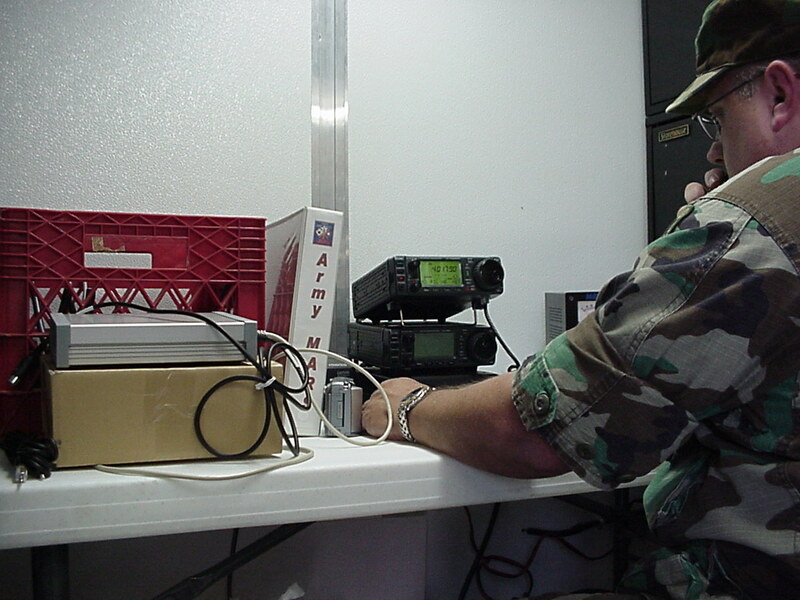 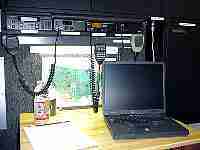 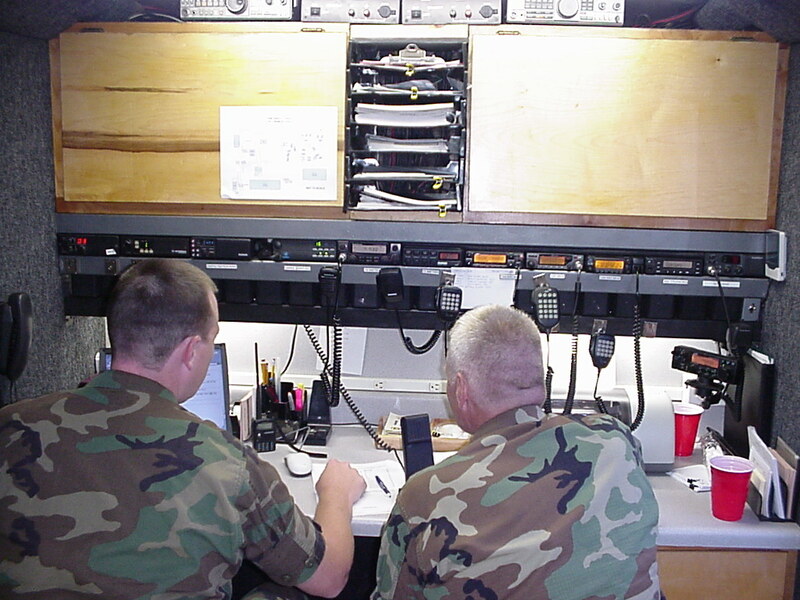 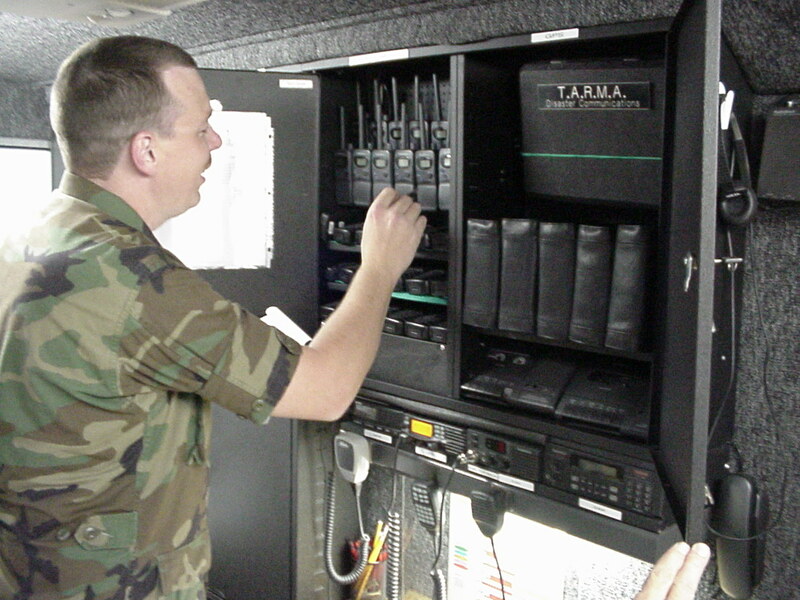 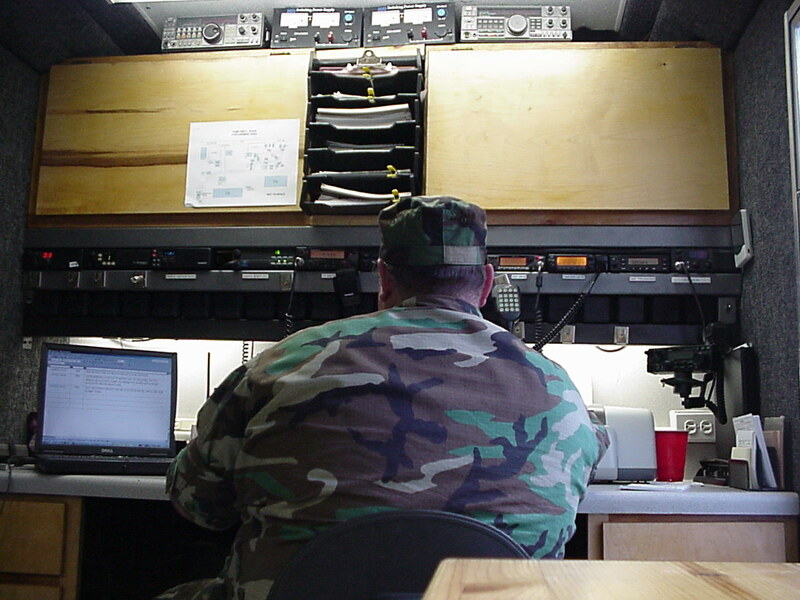 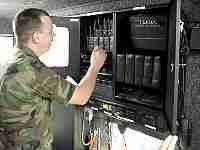 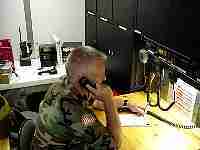 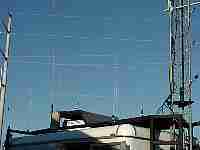 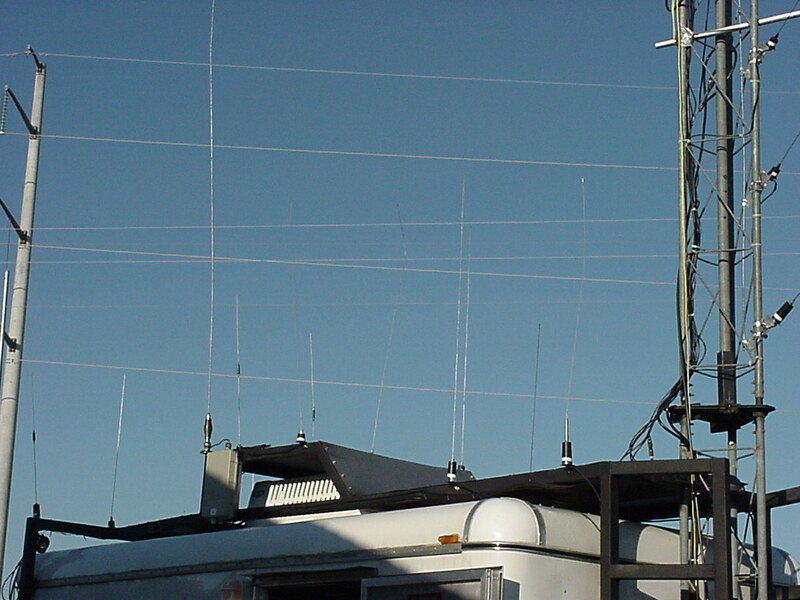 19th Bde Signal arranged to have this transportable CP onsite at the TXSG HQ BLDG as an exercise for AT2004. It was a complete success. 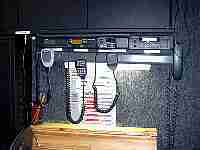 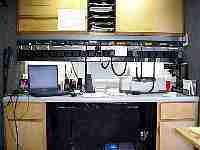 Everything worked properly and the system was found to be flexible, ergonomic, and effective. 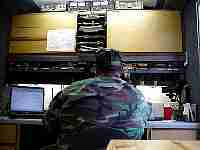 There were no problems whatsoever. 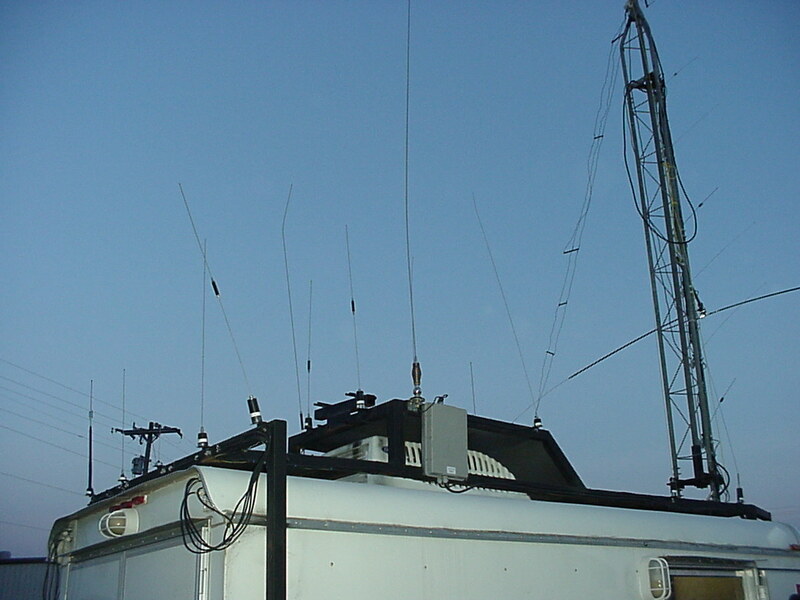 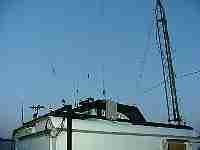 While you are looking, count the antennas and radios..